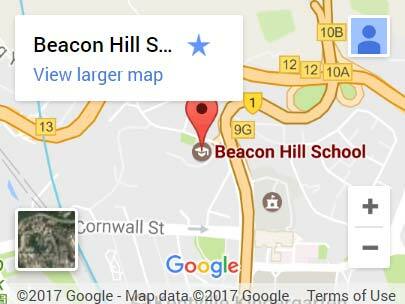 Beacon Hill School is part of the English Schools Foundation (ESF), Hong Kong’s largest provider of English-medium international education. ESF’s integrated network of 22 schools and comprehensive programme of after-school activities help to bring out the best in every student through a personalised approach to learning and by inspiring curious minds. Beacon Hill School was first established in 1967. It is a flourishing school serving the Kowloon area of Hong Kong. Many nationalities are represented by the pupil community. The most numerous nationalities include Hong Kong Chinese, British, Australian, Canadian, Indian and American. The school is situated on a small site, 7 storeys high. There are class sizes of 30 with 3 classes in each year band. The school has recently had some major renovations and is now equipped with an ICT suite, Drama Studio, Specialist Music and Art room, a well resourced Learning Centre and two multi-purpose rooms. Standards at BHS are high. The curriculum offered is aligned to the philosophy of the Primary Years Programme of the International Baccalaureate Organisation and involves an inquiry-based, investigative style of teaching and learning. The teaching staff are well qualified, experienced and work closely with colleagues in the other ESF schools. Staff-student relationships are excellent and are based on a strong sense of mutual respect. Central to the life of the school, is the positive community spirit and the strong partnerships with parents. There is an active Parent Teacher Association which supports the school through a variety of social and fund-raising events.